Lane Rigg Guest House is an established guest house on The Heads, in Keswick, Cumbria. The Heads is Keswick's Premier Accommodation Location, located in the heart of Lake District, with the best that the area has to offer. Set in the beautiful surroundings of the northern English Lake District, The Heads has un-matched views over the surrounding fells and Derwentwater, thanks to its splendid location on the upper outskirts, of the market town of Keswick. With easy access to the centre of Keswick and just a five-minute walk down to the shore of Derwentwater, Lane Rigg offers a perfect location in the English Lake District, offering guests an excellent location to visit other areas of the beautiful National Park. Lane Rigg is perfectly located only a few minutes’ walk from all of Keswick's attractions. A walk by Hope and Crow Park leads to the famous Theatre by the Lake and then Derwentwater and its dramatic views come rain or shine. Regular launches offer a scenic and relaxed cruise around Derwentwater or rowing and motor boat hire for the more adventurous. Each of our rooms at Lane Rigg are En-Suite and boast their own unique view of the area, from the fells over Cat Bells to Keswick itself. 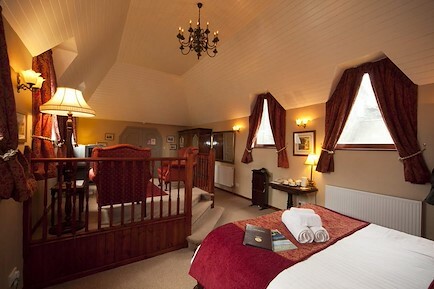 All rooms come with tea & coffee making facilities, TV, free WiFi, and a hairdryer. Ironing facilities are available to guests on request. We do have parking available to guests on a first come first served basis to the rear of the property, at the time of check in. Your enquiry will be sent directly to Lane Rigg Guest House. Please fill in as much detail as you can.